Cropped top is really popular nowadays. 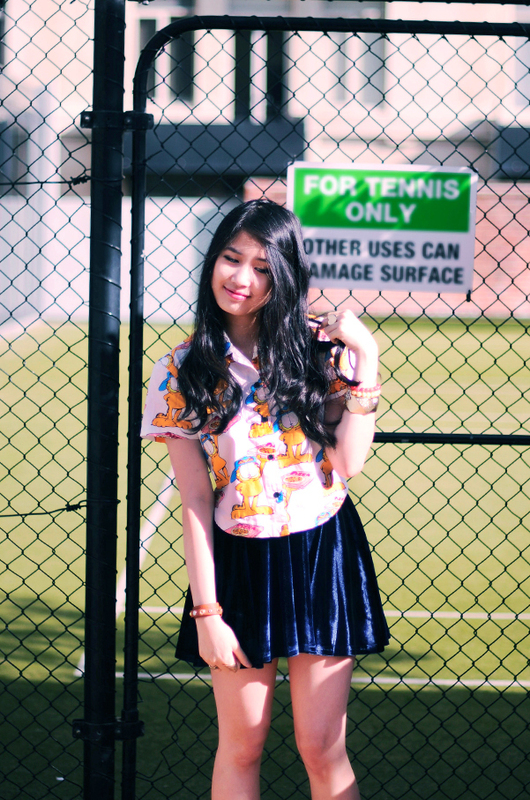 I found this cute Garfield cropped shirt from Lazy Oaf last season collection and immediately became one of my favorite tops. I always love wearing velvet skirt because of its unique texture even though it is a challenge for me to capture the texture with my camera. cute outfit, love the outfit with the red sneakers, so popping!! 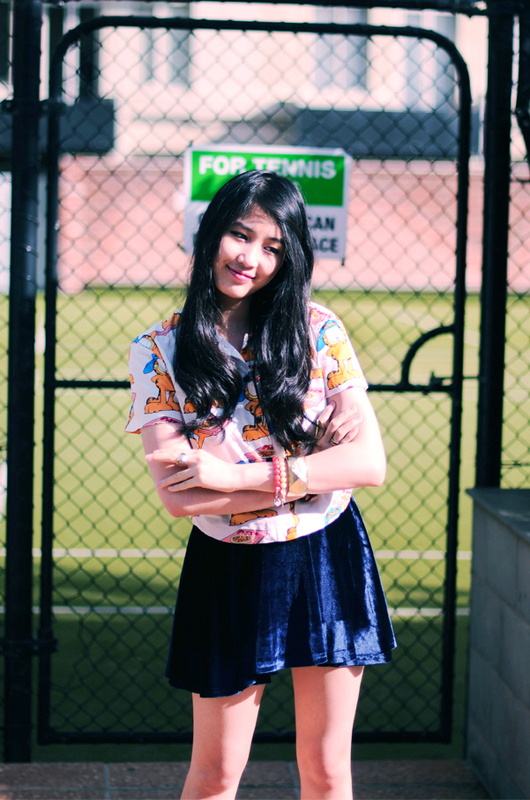 lovely look, so sporty but still chic! love the skirt very much! That's such a cute top!! 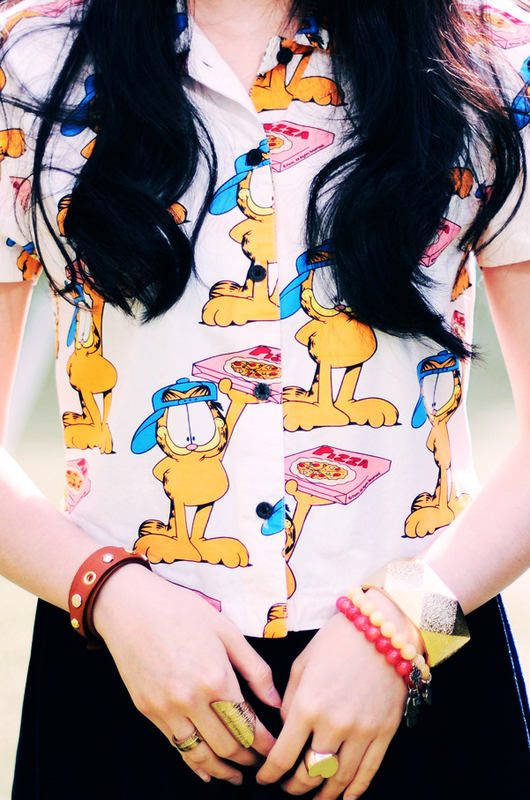 Love the Garfield print *o*!! awwhhh cutie! i love the top and your velvet skirt. Chic look! Such a cute look! Loving the top!